NON-INCOSE MEMBERS who don't have a MemberSuite account please view past purchases here. Being an INCOSE member has it's benefits. Join Now! You will be contacted for additional shipping charges. 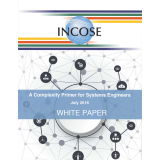 The hardcopy paperback edition of the INCOSE Handbook is published for INCOSE by Wiley. 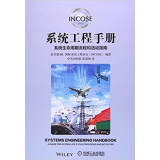 A Member Discount code is also available: see "Details"
Chinese translation of the INCOSE Systems Engineering Handbook V4.0. This is available on the Amazon China site, and is linked from the INCOSE Store for convenience. You are not purchasing this here. German translation of the INCOSE Systems Engineering Handbook V4.0. This is available on the GfSE site, and is linked from the INCOSE Store for convenience. You are not purchasing this here.